For the last 9 Years I have collected unwanted motorized chairs, refurbished them, and have given them away to the handicapped who cannot afford them at the holiday season. 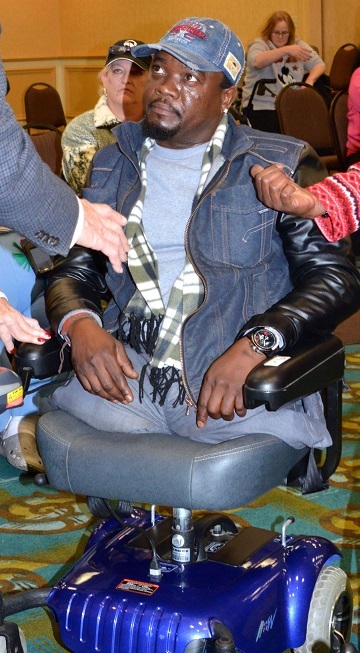 I call it AZ Pawn's Gift of Mobility, and to date I have given away over 580 motorized chairs. These chairs are someone's independence, a chance to do normal things again. Some of the handicapped are amputees, some have Multiple Sclerosis, Cancer, Leukemia...you name it. And for some reason they slip through the cracks and are unable to receive a much needed motorized chair. These chairs run from $3800.00 to as much as $20000.00 each putting them way out of range for those who cannot afford them. THERE IS NEVER A CHARGE FOR ANY OF THESE CHAIRS. You may visit my website www.azpawngiftofmobility.com to get a glimpse of exactly what we do and see photos and videos from prior giveaways. Last years giveaway video may be viewed on youtube at https://www.youtube.com/watch?v=kH70M6Q0MZs. 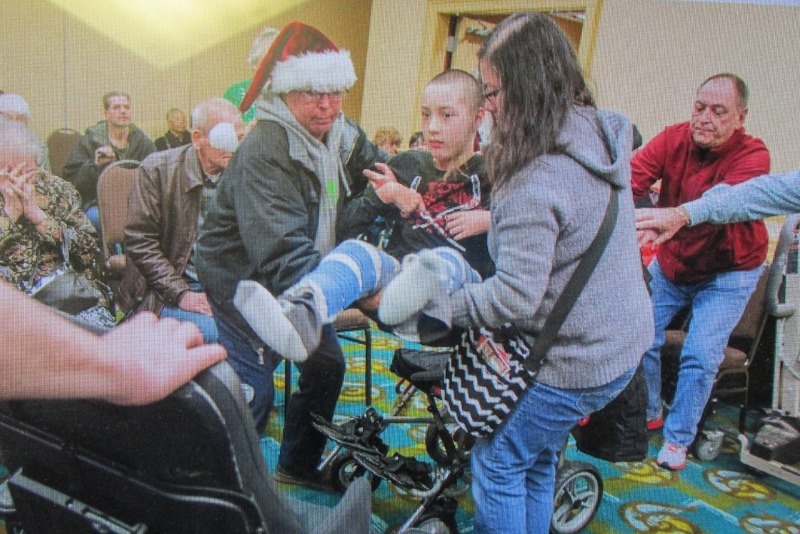 Besides the yearly Holiday giveaway throughout the year, when someone is in dire need we provide them with a motorized chair whenever possible. This December 2nd 2018 I gave away 100 motorized chairs to those in need and hope to have at least that many for next years giveaway. The expenses are replacing the batteries, storing and picking up the chairs, financing their repairs and paying for all the advertising required to get the word out. Currently I have about 70 chairs that are in need of batteries and repair. To anyone who donates, I offer a sincere thank you no matter how small of a donation. If you cannot donate but still wish to help, if you could spread word of our campaign we would sincerely appreciate it. This young child was in desperate need of a motorized chair. 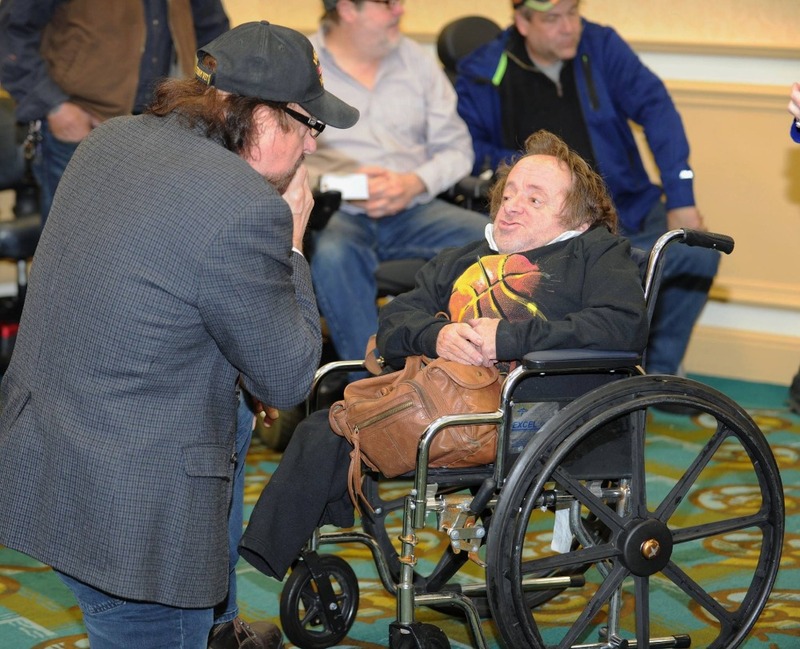 Fortunately we were able to give him the exact chair that he needed. I am now taking donations for this years Gift of Mobility Giveaway. Last year I gave away 91 Motorized chairs, my goal this year with your help is 100! In loving memory of Norma Bergeron.